Software Engineering for Embedded Systems: Methods, Practical Techniques, and Applications, Second Edition provides the techniques and technologies in software engineering to optimally design and implement an embedded system. 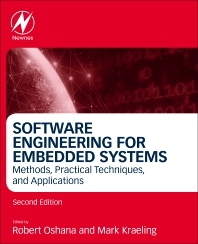 Written by experts with a solution focus, this encyclopedic reference gives an indispensable aid on how to tackle the day-to-day problems encountered when using software engineering methods to develop embedded systems. New sections cover peripheral programming, Internet of things, security and cryptography, networking and packet processing, and hands on labs. Users will learn about the principles of good architecture for an embedded system, design practices, details on principles, and much more. 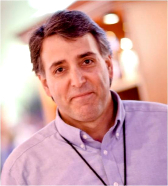 Mark is an enterprise architect for the Train Performance and Transport Intelligence businesses at GE Transportation. He is responsible for integration of networking and applications with worldwide customers’ locomotives and infrastructure. Mark is a regular speaker at embedded systems and industry conferences worldwide, focusing on virtualization, advanced wireless technologies, and asset performance management and their application to the transportation industry. Mark also actively participates in industry standards development including the Associate of American Railroads technical action groups. His leadership in the IoT space was recently highlighted by being elected to the program committee for the 2019 IoT Solutions World Congress.